Don’t wait until you need credit to find out what is on your credit file. Treating this file of information as you would a resume is how to raise your credit score: make sure it is a positive, up-to-date and check your credit history regularly. What Does Your Credit Rating Say? The issue of how to raise your credit score can come up at any point in your life. A friend found out the hard way that she didn’t have a credit record after her husband passed away. Since he had always handled everything, from investments to their joint chequing account, she was practically a financial non-person without a credit record. Add to that her inexperience with financial matters at a high stress point of life, and you can see the challenges she faced. “It’s like being 19 again and applying for credit for the first time” she said. Fortunately, since his life insurance covered their mortgage, and he had invested wisely, she was in a fairly decent financial position. But it really hit home, after 30-plus years of marriage, that her contributions to the family finances had gone unrecorded and unnoticed. Like many others before her, the issue of how to raise your credit score became paramount, even though she had paid the household bills and signed the cheques every month for years. How can you raise your credit score? Can you determine whether you are building a credit rating and are considered creditworthy? What can you do to make sure you are establishing a credit record in your own right? A fast way of finding out whether you have a Credit Rating is to look at your financial information. If you have a joint chequing account, whose name is listed first? The name that is listed first is the person who will benefit from the credit transactions coming through this account. You may wish to have a separate chequing or savings in your own name to track your credit transactions and establish a credit record. Another way is to look at your credit cards. Are they in your name, with your partner as the second cardholder, or are you the second cardholder? Are you the primary borrower or secondary borrower when you and your partner borrow money as a loan or mortgage? Again, the first listing is the primary borrower and the person who will benefit from the Credit Rating if the loan is repaid in a timely fashion. The second person has a lesser status for credit-reporting value. Credit records are accessible online or by phoning your local credit bureau and requesting an appointment to view your credit file, or through a plethora of online services. In some provinces, you are able to insert an explanation (say, 300 words to a maximum of 500 words) in the case of a disputed debt, to tell your side of the story. This can be helpful if you didn’t receive satisfactory goods or services, and withheld payment for this reason. Do you want your own Credit Rating? When enquiring how to raise your credit score, ask to establish your own credit file. Even if you are married, you can ask for your file to be included in a joint file, having both of your credit files kept together but your Credit Ratings earned separately. Marg Spina is a second term Kamloops City Councillor, and also a Thompson Nicola Regional District Director. She was elected President of the Southern Interior Local Government Association (SILGA) in 2013 and has been on the executive board since 2009. Born in Vancouver, B.C, Marg Spina has lived in many different communities and airbases across Canada. She moved to Kamloops in 1976, was the first female debt counsellor in B.C., and was promoted to BC Regional Consumer Affairs Manager. 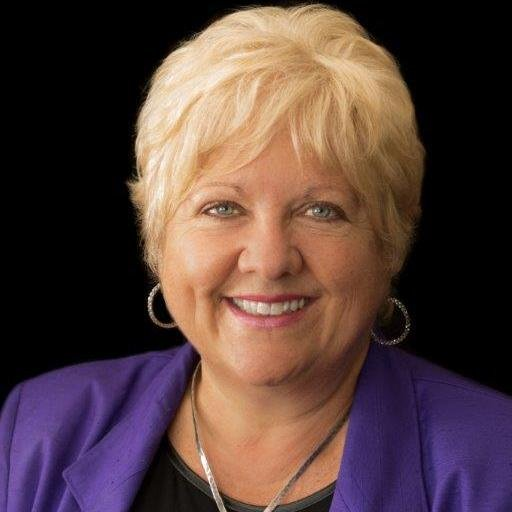 Marg is a founding member of the BC Council on autism and served on the Ministry of Social Services Autism parent advisory group, and the Kamloops Community Health Council by government appointment. Marg developed and ran the Giant Steps West autism therapy centre for 5 years as a volunteer, which continues today as the Chris Rose Centre. In 1992, she was awarded the Governor General 125 Award for Community Service. Marg owns and operates Spina Consulting Services. Her years of employment cover many areas, from the Broadcast Centre, CFJC TV, to on-reserve First Nation’s health training and community development. She writes consumer finance articles for the Financial Pipeline, and provides community credit and debt workshops for disadvantaged people. In 2007 she was appointed to the College of Licensed Professional Nurses as a public representative by the government. Marg was awarded the B.C. Community Achiever Award in 2006 for her work with the Kamloops Food Bank. Other awards that Marg won include YMCA-YWCA Woman of Distinction 1999, Giant Steps Parents Award, Paul Harris Rotary Award, City of Kamloops Volunteer of the Year 1991, Kiwanis Everyday Hero Award, April 2006.